- Dimensions: 19" L; 1 lb. 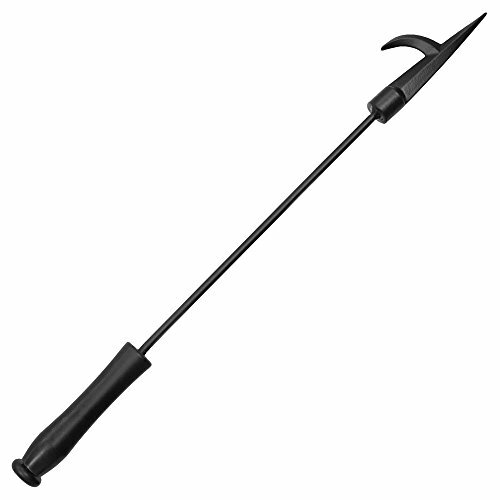 Move logs with ease in your indoor or outdoor fireplace using this steel decorative fire pit fireplace poker. Don't risk getting burned at your next outdoor gathering around the fire pit! This fire pit poker is a convenient accessory for all of your outdoor fire needs that will keep you away from the flames while still allowing you to move logs and control the flames. The poker's head is hook shaped for easily hanging next to your fireplace or fire pit after use. Use this poker to move firewood around in the fire pit without having to worry about getting burned.